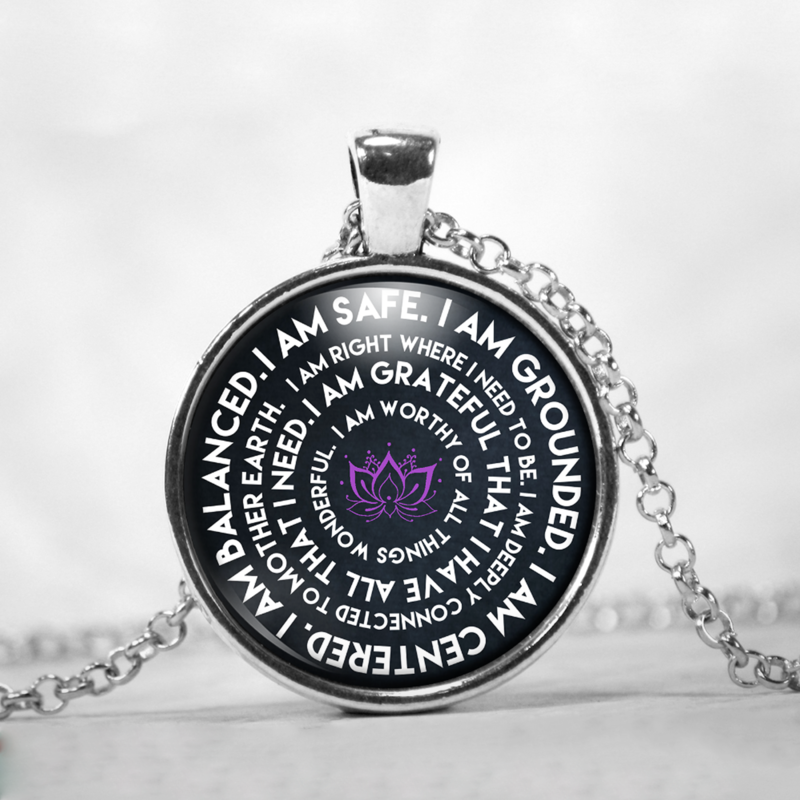 PICK UP THE I AM MANTRA NECKLACE AND TAKE THE CHALLENGE TO JOURNEY TO A MORE POSITIVE YOU. $5 OF EVERY NECKLACE SOLD NOW GOES TO BREAST CANCER RESEARCH FOR A CURE. Bought this for a friend as a gift. I like it and I know she will too. The weight of it is nice though it's a little on the small size which makes the words cramped together. If it was a half inch bigger I think it would be better for some people. I'm pleased with the product price and delivery overall and I am planning other purchases. I bought this as a gift for my wife. It arrived well within the delivery promise. It's of good quality and she is very pleased with it, so I am very pleased. All contact with searchable was dealt with promptly,courageously and proffessionally. It’s really a pretty necklace. The chain is nice. I like it. I love it! Its very light weight and hangs nicely! I have gotten alot of comments on it. Had to shorten the chain a bit for my personal preference only. I ordered 4 necklaces, one for myself, one for my daughter, one each for my sister and her daughter. The necklaces arrived quickly - even to Switzerland. The necklaces are pretty and as shown in the picture, although I thought the face would be even (height) with the circle, it is a bit deeper, but it looks good. The chain is very fine, but pretty and it is strong enough for the pendant. I have worn my necklace since I got it and keep reading the text to myself. I love it, a good mantra for short moments of centering. Thank you for the nice work and good message! And for contributing to breast cancer research.